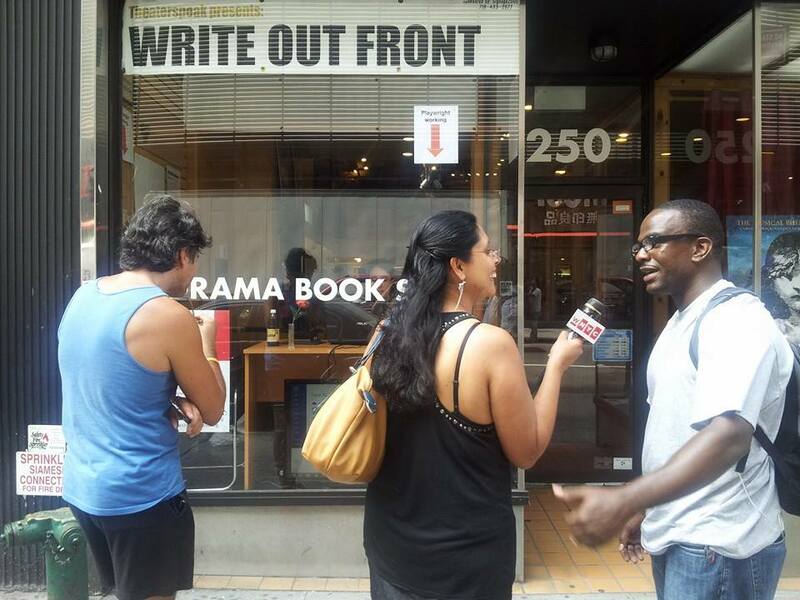 WRITE OUT FRONT is an installation of over 200 award-winning and up-and-coming playwrights writing new plays in the storefront window of the Drama Book Shop located in the Times Square Theater District. In each two-hour time slot, a different playwright writes a new play on a laptop while the screenshot of their computer is projected onto a 42” monitor facing the passersby on the street making their normally private creative process public. The public is invited to engage and support the playwrights via Facebook, Twitter, and Instagram as well as follow the development of the play and the writer after the installation ends. support independent bookstores such as the Drama Book Shop which is a haven for theater artists and lovers everywhere. .